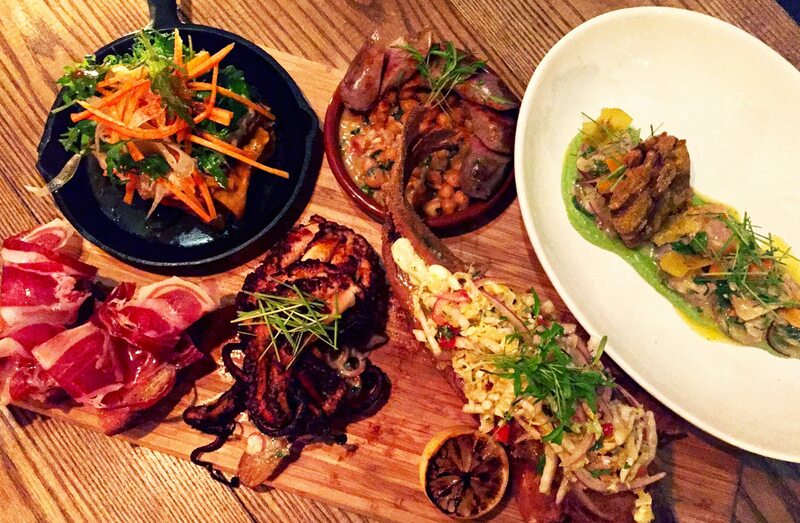 We dropped into The Soca Kitchen & Pub on a soggy Wednesday night to feast off a board and we waddled out groaning with pleasure and leftovers. 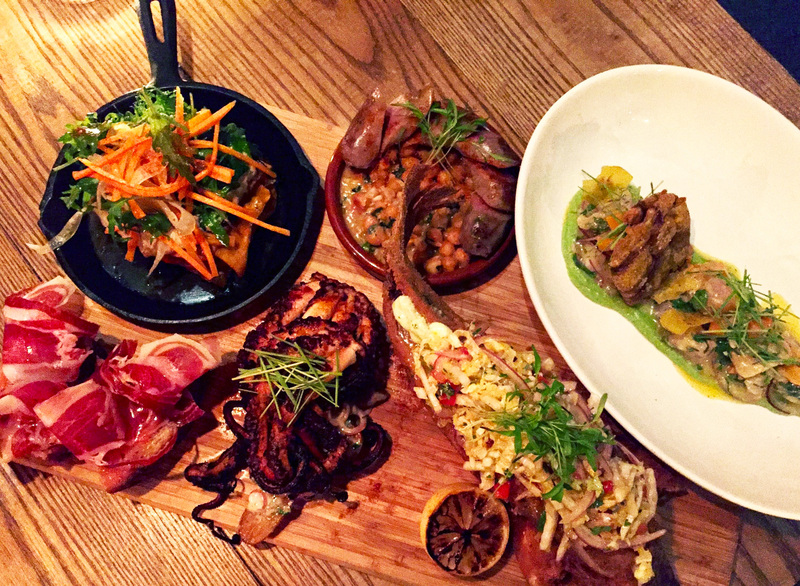 Soca is the Spanish fusion restaurant on Holland Avenue, run by the husband and wife team of Gustavo Belisario and chef Daniela Manrique. There are a few caveats, but if you can handle those, and approach it with an open mind, the ‘Chopping Block’ is a good and generous deal. The offer is this: $89 for two, which is available Monday through Wednesday only, chef’s choice only — no restrictions, please; no substitutions, thanks. We began with the Venezuelan empanadas that come on the house. Next up, small bowls of a delicious gazpacho with a shot of sherry on the side – add it to the soup as instructed. And then came the board. On it, these pleasures: a sparkling tuna ceviche sharpened with an aji amarillo sauce and anchored to its white bowl with a creamy avocado mousse; an open-faced sandwich on sourdough bread, spread with a tomato-garlic concassé and topped with thin slices of Iberico pata negra (cured ham) – the real deal; a milhojas (Spanish: a “thousand leaves”) of earthy sweet vegetables with the added depth from ribbons of smoked eggplant and pickled carrot, crowned with dressed greens; octopus, slow braised then charred, resting on a fingerling potato salad; Manrique’s own Catalonian butifarra sausages, grilled, sliced and served with a wonderfully flavourful garbanzo stew. And a whole fried fish – white bass, weighty beneath a panko crust, its flesh scrumptious, moist, and not in the least oily. It came conveniently split down its back, and injected with a dollop of lime crema and topped with a root veg slaw spiked with chili. Did we need dessert? Apparently as I seem to have a photo of it: dulce de leche cheesecake in a mason jar, topped with sweet crisps and raspberries.